RSVP below to attend and learn more about what the upcoming year has in store! 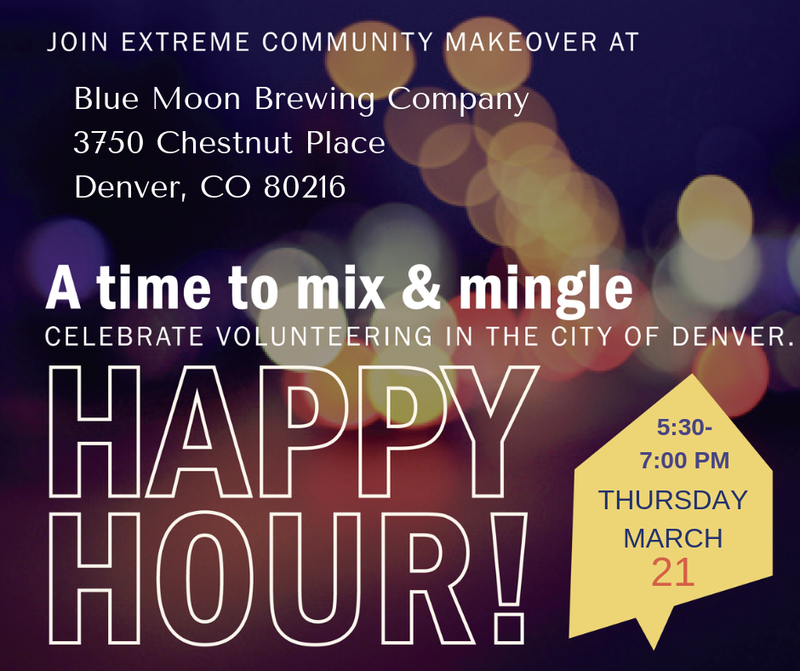 Our next Volunteer Happy Hour is coming up on Thursday, March 21 from 5:30-7:00 pm at Blue Moon Brewing Company. Come to learn more about volunteer opportunities and how to get involved, while connecting with others who like to volunteer. We are raising funds for Extreme Yard Care! Adding services over the past year has required additional equipment needs such as an aerator, air compressor, snow blower, and other things. To learn more about the campaign, click the image below. Our annual Go: Westwood project is coming up on Saturday, May 4. It’s going to be a fun day, so you are invited to get a group together to join us for a great day of service in the Westwood neighborhood! Click on the image below for more details. Are you a runner? 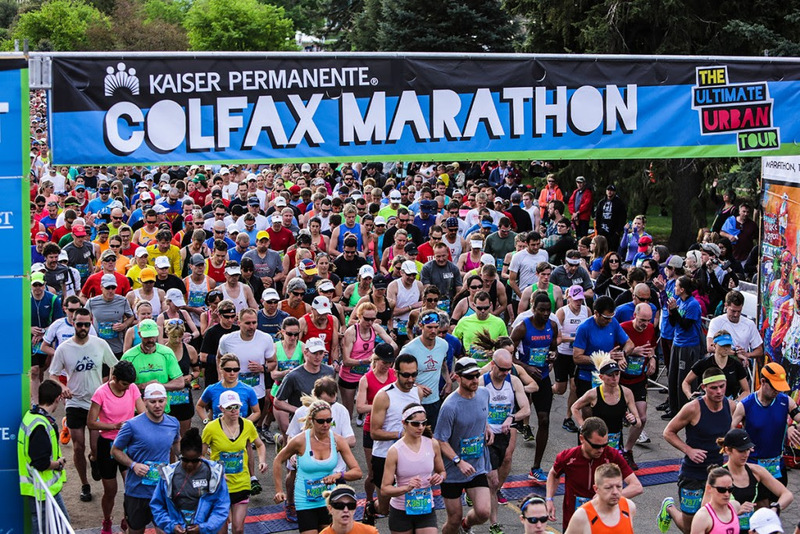 We are looking for people to run on behalf of Extreme Community Makeover at the Colfax Marathon! With a number of options to choose from (5K, 10 miler, half marathon, full marathon, and relay options), you can choose which race is best. The dates are Saturday, May 18 (5K) and Sunday, May 19 (all other races). The registration price increases on March 13th, so check it out soon. If enough people are interested, we could look at getting an Extreme Community Makeover relay team together as well, so let me know if you’re interested in that idea! We will also have Work Days every Tuesday and Thursday during the months of June and July. To register a group, click here. You are receiving this email because you are an important constituent of ECM who has served as a volunteer, donated, or receive our newsletter. Thank you for your involvement and interest.